A major tourist attraction of Las Vegas, Hoover Dam is one of the greatest engineering achievements in human history. Even after 80 years of its construction, this National Historic Landmark continues to draw many tourists every year. It is located at the border of Nevada and Arizona in Black Canyon and is about 30 miles away from the city of Las Vegas. It took around 5 years (from 1931 to 1936) to construct the gigantic Hoover Dam. It took the efforts of thousands of people to construct this giant dam for harnessing energy from the Colorado River. The Hoover Dam is one of the top 10 construction achievements of the 20th century and is one of the must-visit tourist attractions in Las Vegas. 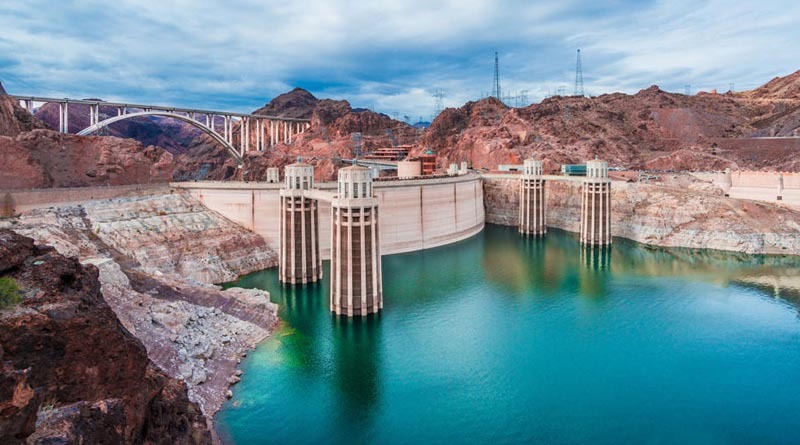 You can easily book our Hoover Dam Limo Tour and get ready to experience a world-class comfy ride to this historic site. The tour lasts for a duration of 4 hours. Our limousines are equipped with luxurious amenities to make your Hoover Dam limo tour as enjoyable as possible. You will love the panoramic site and get the opportunity to click some of the best photos of your life. The size and craftsmanship of the dam is a spectacle to watch out. The 1900 foot long bridge walk has plenty of informative placards. The observation deck set above the dam offers scenic views of the Colorado River and Lake Mead. Here, you can also take a bird’s eye view of the dam and also get a clear sight of the mechanical components of the dam. Even if you have booked the Hoover Dam Limo Tour with us, you will have to buy Dam Tour tickets in person at the site itself. The tickets are available on the basis of first come first served.